“If Not For You” Scarlet Rivera version? In 1970 Dylan had recorded a large number of studio outtakes for "New Morning", some of which ended up on "Self Portrait" and several Bootlegs. One of the included songs, "If Not For You" was recorded several times in slightly different versions. 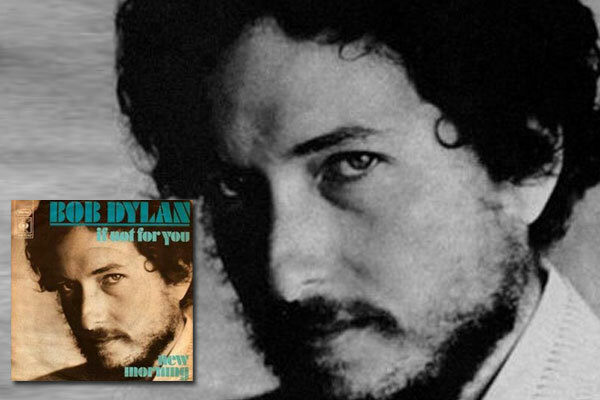 On the "Bootleg Series Vol. 1-3" you can listen to one of those. A few days ago I found out about another version of the song, one that - at least to me – was unknown. You can listen to it on playlist.com, to me it seems like a probably overdubbed version with a beautiful Scarlet Rivera-kind of violin. The only big question mark to me is: How is this possible, since the Rivera sessions happened a few years later, when Dylan recorded songs for "Desire"? If anybody knows anything about this particular recording, please post it here. Otherwise you have to listen to this version, it's the most beautiful one, and better than both of the officially released versions.